The late Samuel Ernest Sprott, from Tasmania, was an academic in the department of English at Dalhousie University, Canada and was best known for his work on John Milton, notably Milton’s Art of Prosody, his first book, which appeared in nine editions between 1953 and 1978, and John Milton, A Maske: the Earlier Versions. His book Suicide: The English Debate from Donne to Hume was published in 1961. He also published a collection of poems in 1955. The S. Ernest Sprott fellowship is to be awarded annually to an Australian citizen who is an outstanding scholar less than 45 years of age at the time of the award. 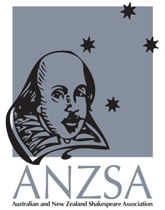 The fellowship is for scholarly study outside of Australia which is intended to lead to a book relating to dramatic or non-dramatic English literature of the sixteenth or seventeenth centuries. Fellowship funds will be paid in quarterly instalments providing that the committee is satisfied with the progress of the candidate who will submit quarterly reports.